Vitamin D can be harder to come by in cooler, darker climes, which is why our Vitamin D3 500IU Capsules are a cupboard essential. Many people can be deficient in vitamin D, as it’s produced in the skin following sun exposure. 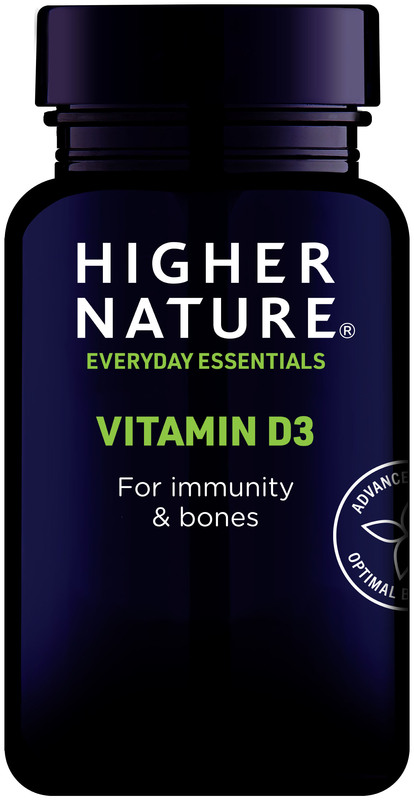 Essential for the maintenance of normal bones, teeth and muscle, vitamin D also supports the immune system, making our small vitamin D capsules a quick and easy way to get the nutrients you need, even when the sun is nowhere to be seen. Higher Nature offers different formats of vitamin D including, Vitamin D Spray for Adults, Vitamin D Spray for Kids or Truefood Supernutrition Plus, which provides high levels of a food-state form of Vitamin D within a multivitamin and mineral formulation. Please note that due to local import restrictions on products containing Vitamin D we are unable to ship our Vitamin D product to Estonia. 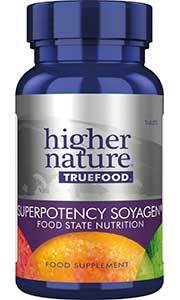 You may like to consider True Food® Supernutrition Plus as an alternative. Take 1-2 capsules a day. Children over 5 years, 1 a day. If your are also taking a multivitamin, then just take one capsule a day. If the dose was higher, I'd buy it. This looks good, but the dose is too small for me. Why not make a gelcap 5000iu and you'd probably get a lot more customers in UK. It has been a late to post the health checking up result taken last year. In anyhow the result was prooved succesfully. My medical doctor in charge told me that I do not need to take it regularly, but recommended taking a blood test for Vitamin-D annually. 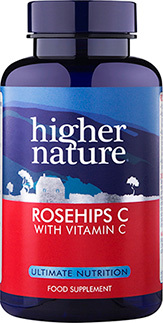 Thanks for it Higher Nature. My GP suggested I take a Vitamin D supplement. Since I started taking these over a year ago I haven't had any of the winter bugs. Nor has my husband who used to suffer from SAD but didn't this year despite the endless winter. Highly recommended. As I have been suggested to take Vitamin D from my physician in charge after general health checking up i month ago, I choose this product after wide web searching, and have been taking it 2 caps a day. So far I feel so good, but the result will be coming out at the next health checking to be done next month. I'm looking forward to getting an improved result, and the result will be released at that time. This Vitamin is essential for me as I suffer from SAD. 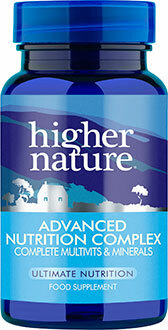 I am so grateful to be able to buy a product that, not only helps me, but, also is a high quality product. Many thanks. MAGNESIUM... Could you be deficient? Do you suffer from one or more of the following? If so, the chances are you may be low in magnesium.